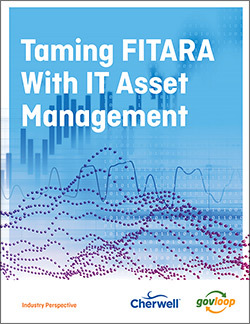 FITARA was enacted to help agencies reduce waste and more efficiently acquire and manage information technology. To achieve these goals, agencies first must understand what is in their environments. Effective IT asset management provides visibility into the software an agency has and who is using it. To learn more about how federal agencies can get a better handle on their IT inventory and spending, GovLoop partnered with Cherwell, a company specializing in IT management software solutions, and gained insights from Jeff Kelsey, Director of IT Asset Management Product Management at Cherwell.